Hong Kong is like a second home to me. Over the last few years, I’ve visited dozens of time. 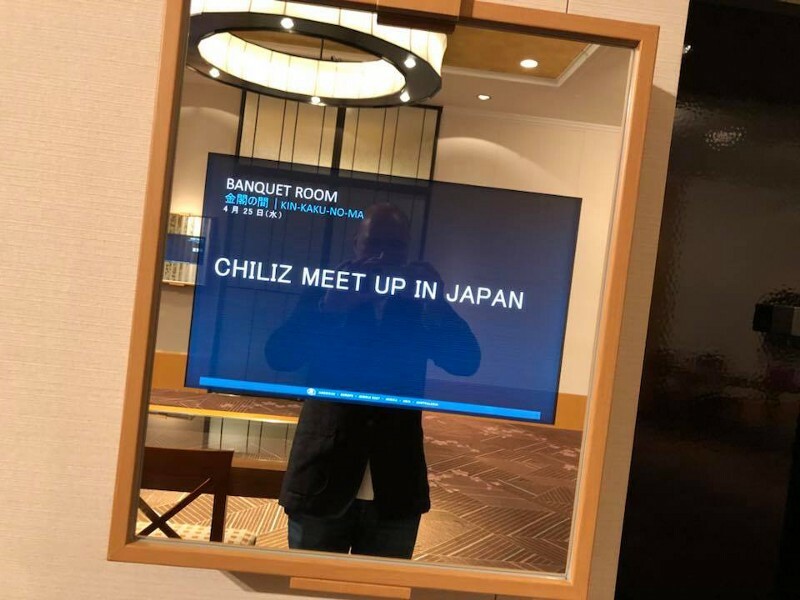 This week, I visited for just two days, to discuss the chiliZ strategy with my partners, and to meet some key blockchain operators, including major exchanges. From Hong Kong, I flew to Osaka, Japan, to join a meet-up organised by our business partners. After a five year hiatus, I was very excited to meet the talented team that have been working on our behalf to promote chiliZ, our esports and blockchain initiative. Held at the Hilton Osaka, nearly 100 people attended the meet-up rom the esports space, blockchain influencers and strategic investors. We spent two hours presenting the vision, the product, and the technology we are developing. A Q&A session followed, plus a dinner with major influencers. In sharing our vision, I met some great people, and learned a lot more about the local ecosystem and more than ever, see Japan as a key country for us in terms of esports and blockchain. We plan to open an office in Japan so we can serve our community, prepare strategic deals with game publishers, media companies and esports organisations to further develop our business. I can’t wait to return in the summer. Dentsu, one of Japan’s largest conglomerates, recently invested over $250 million in DAZN, part of Perform Group. We are very lucky to have DAZN’s Chief Commercial Officer — John Gleasure — as a shareholder and board member, and this recent deal will certainly open many doors and creature business opportunities for chiliZ. For now ‘jaa ne’, from Osaka airport, as I head to Seoul, Korea, for another 48 hours of crazyness.